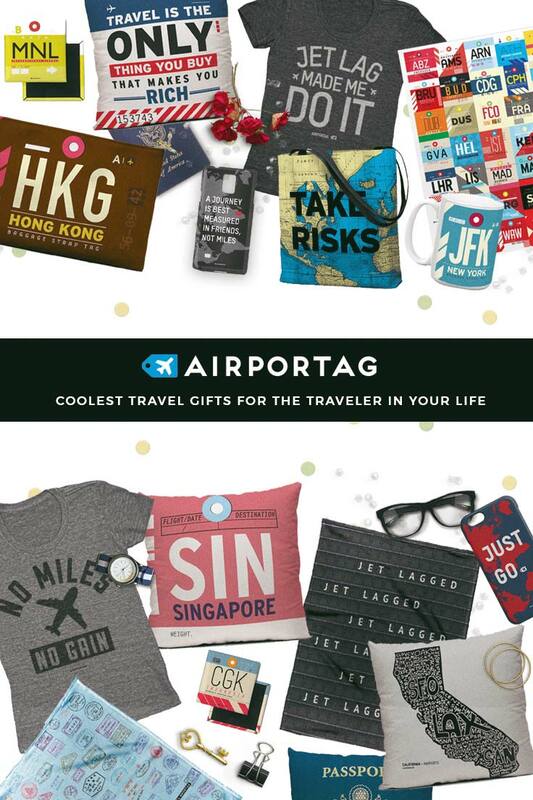 I am in love with items that are brilliantly designed, quirky, and eye-catching, so you could perfectly imagine how excited I was when I stumbled on the brand of Airportag! Established by a good ol’ ‘Captain Greg’, Airportag aims to create products that are inspired from IATA codes — the 3-letter codes that typically refer to the various airports around the world. As a traveler himself, Greg always thought that airport codes can be used as souvenir gifts, that’s why he eventually set out to create them! But apart from that, he also offer products that have cool travel quotes as well as items that are designed after passports. To best illustrate what these items are, let me show you the various types that they offer in their online shop! NOTE: All items are made in the USA and can be shipped worldwide with payment methods via PayPal or credit card. Spun from 100% polyester poplin fabric, these are individually cut and sewn by hand and they are not only perfect for your living room but are also perfect as a carry-around pillow during your travels! One of my favorites amongst all of the Airportag items are these travel shirts that have the look and feel of a vintage top! Add the awesome ‘statements’ that they print on them and I was instantly sold on it. (All are printed on an American Apparel Tri-Blend T-shirt). The canvases are printed on bright white matter canvas that already have finished backing so that it’s absolutely ready for hanging — it’s a perfect accessory for your living room or working area as some sort of display to keep you wanderlusting for more trips! On the other hand, the posters come unframed and are printed on semigloss 170gsm. You can choose between a tote bag or a pouch that has a minimal yet original artwork design by Airportag. Another great way to remind yourself of your past travels are these cool fridge magnets. Given how these are designed, it just makes me want to collect ALL the codes of the airports that I’ve already been to! Slim fit and durable, Airportag’s mobile covers are available for iPhone and Samsung Galaxy phones and you can choose to have travel quotes printed on them or their good ol’ vintage airport codes. Made of high-quality ceramic, these coffee mugs have wrap-around art designs and large handles for easy gripping! These are also perfectly safe for dishwasher and microwave use. Take these with you on your travels or keep them at home! They are made of thick plush material (100% polyester fleece) and will absolutely keep you warm. Yet another interesting item to give away for travelers (or to keep for yourself) — travel-themed shower curtains! These have a 12 button-hole top for hanging and can be machine-washed and dry-maintained. Airportag also provides custom services! This means that you can order a throw pillow or a pouch bag that has your own preferred details. Giveaway: Win a $100 Gift Card! Christmas may be over, but we’re still in the holiday cheer! So how about winning a $100 gift card for Airportag? You can buy gifts for your friends this New Year or you can simply buy items for yourself — it’s all your choice! One (1) winner will receive a $100 gift card that can be used to buy items on Airportag! To see the complete list of their products, see here. Do the 3 required steps that will be displayed below. Each action will give you entry points for winning — take note that the 3rd step (tweeting) can be done everyday so you can gain more entries! *Once you finish doing these 3 required steps, it will unlock 7 other entry options, thereby giving you MORE entries that will thereby increase your chances of winning! This giveaway will start on December 27 (12AM – GMT + 8 Time) and will end on January 8 (12AM). Winner will be picked randomly and will be announced in January 8 on the ‘I am Aileen’ Facebook page. This giveaway is hosted by me, Aileen, in partnership with Airportag; but prize distribution will be the sole responsibility of Airportag. .
What do you think of Airportag’s products? Would you like to own these items? Or do you already own an Airportag item? How is it? This is so great! 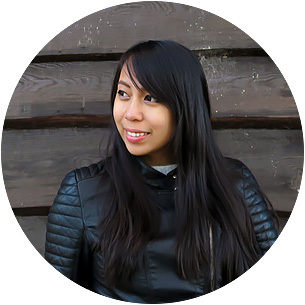 Thanks for sharing, love your blog. Great ideas and wonderful information these makes things easy thanks for the share. These are really great gifting ideas. I myself would love the graphic tees, you can layer them under a flannel/button up or a blazer and it will look awesome. True that! :D Bet that the ones you gift it to will love it as well! On mannnn! I wish I had seen this earlier. These are truly cool gift ideas. Just going to have buy for ourselves, I guess! Or you can join the giveaway and possibly win it for free ;) Anyhow, I'm glad you like these items Arnie! I did enter the giveaway, Aileen. And have followed, and friended, and you name it. Love LOL! I especially love the T-shirt" Jet lag made me do it! " LOL. But the blankets would be so helpful when traveling because I always get so cold on airplanes! And of course, the coffee mugs. I do love my coffee!